The weather is getting warmer and the festive period beckons. What better way to make the most of this magical time in South Africa than by packing the car, grabbing some great company and hitting the roads? You, the open road, your vehicle and the unknown. There is so much fun and adventure to be had, what could possibly go wrong? Turns out - a lot. There are a few things that can turn the unknown from a dream into a nightmare. This is a list of some of the things that could really mess with your summer road trip. Read on, think about it and plan ahead so that your road trip doesn't become a travel nightmare. Part of the fun with road trips is the idea of boldly venturing into the unknown, but with modern technology and GPS, its easier than ever to plan your route and have an idea of where you're going before you get there. That doesn't mean, however, that getting lost is any less possible. Quite the contrary in fact, with all these apps vying for your attention, and a related over-reliance on tech, you may find yourself lost. Batteries die, signals drop and more, so prepare in advance so that your road trip isn't sabotaged by a few wrong turns. Seriously, this may not seem like a major issue in a big city but part of the magic of road trips is that you get to see and explore far-flung and, sometimes, isolated areas where petrol stations can be far and few in between. There are places in the country where the distances between petrol stations can extend beyond the capacity of the average car's petrol tank. Keep an eye on the fuel metre and make sure your tyre pressure is correct - getting stuck without petrol in the middle of nowhere can really sabotage your trip. So maybe you've got a border crossing soon and you forgot your passport on the bedside table or you're about to get into the hotel shower and you've left your toiletry bag on the counter - whoops. So maybe you can't brush your teeth for a few days or maybe you need to smuggle yourself into Namibia, no big deal right? Wrong, it's a major deal. Make sure you have all the essentials before you leave. Being in the car, whether driving or being in one of the passenger seats, for extended periods of time is part and parcel of the deal when road tripping but that shouldn't mean you have to spend all of your time in the car. Beyond the necessary rest and relief breaks, eventually cars have to stop and humans have to sleep. If you aren't packing a tent and sleeping bags you'll likely need to lay up in some random lodging you find along the way lest you wake up with the need to visit a chiropractor. Sometimes, however, that isn't always possible for a number of various reasons including the mere unavailability of lodging in a certain area. This can be a real downer if you let it be. So be mindful of this when planning for your next trip. This is pretty straightforward. Having a vehicle ram into your own or accidentally making contact with another vehicle is an instant mood killer and can be fatal for road trips. This isn't something you can really plan for sadly but none the less, it is something to be cognisant of because almost nothing will sabotage your road trip like an automotive accident. Check those blind spots and stay woke fam. Related to the above point, sometimes vehicles are your worst enemies on a road trip. 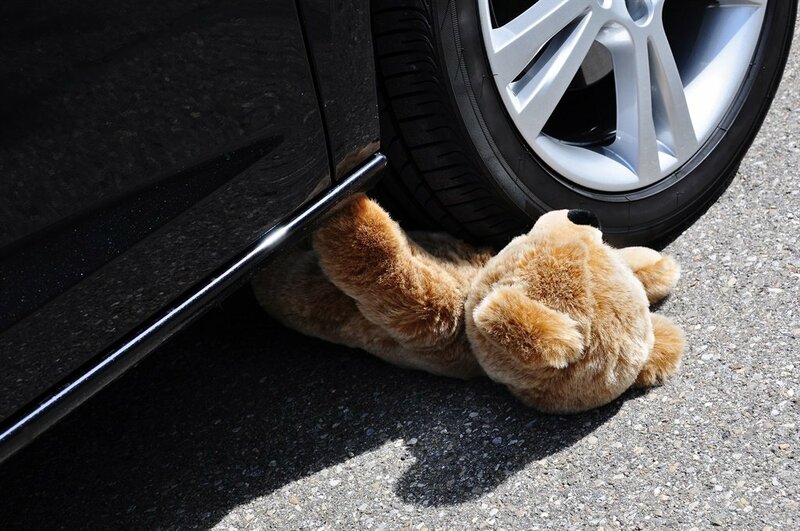 You can be sabotaged by burst-tyres, a fan-belt issue or an overheating radiator and beyond. Car issues can really make your journey terrible or even bring it to a halt. Don't allow your trip to be sabotaged and make sure your vehicle is trip-ready prior to departure. Seriously, this must be one of the worst things to deal with on a long road trip. Everything can go according to plan, no burst tyres, ample accommodation along the way etc and your trip can still be ruined by a Debbie or Derek Downer. You don’t want to spend hours with a backseat driver, a loud singer, or a cheapskate but they are all infinitely more tolerable than someone who brings their own rain clouds. Seriously, it cannot be overstated how important your travel companions are to the success of your trip. Make sure you keep this in mind when planning your trip or risk a frustrating journey in a confined space. Music is a crucial part of the road trip experience, cementing those positive memories of open roads, beautiful scenery and quiet little towns and villages but sometimes music is what can make your trip a travel nightmare. Enter Nickelback. This is no indictment on the musical talent of Nickelback, it's more of a time and place type thing. If you really, really want to sabotage your trip or have your trip be sabotaged by what can only be described as a sonic attack on good energy and happiness - let someone play some Nickelback. For real, you don't want this mess. Immediately after Nickelback starts playing watch how quickly the phones come out, the snores start up and the window gazing ramps up. Say goodbye to the fun and chill vibes. Beware. Nickelback. So you and your comrades have been chugging drinks and snacking on a supersized meal you decided to get at your last stop, and then, suddenly, your food baby decides it wants to be born. You, however, are far away from any sign of civilisation and nobody in the car is willing to turn around for you to find relief. What do you do? Suffer, that's what. Stay smart, know yourself and your body and don't change up your dietary habits because you're in a car. There is almost nothing as painful as having to contain yourself (literally) as you make your way through unknown parts of the country. Sure, you probably packed in some tissue paper and hopefully some wet wipes but even if you do find an inconspicuous spot, for the rest of the trip you'll be 'that person'. Save yourself and your road trip companions the indignity and don't allow your body to sabotage the trip. Plan ahead. Stay safe, watch where you're going and don't make anyone cry by running over a poor helmeted guineafowl or some unsuspecting frog. Roadkill of endangered species is a big problem in South Africa. Don't be a part of it and don't kill the good mood by unexpectedly running over an animal.